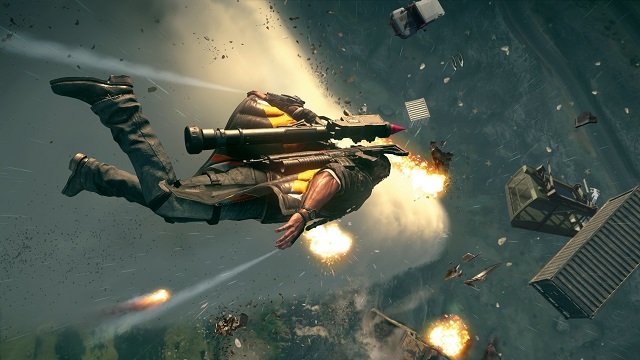 Set in the fictional South American world of Solis, Rico Rodriguez returns with his trademark parachute, wingsuit and, of course, his grapple hook, now enhanced with new functionality and fully customisable. 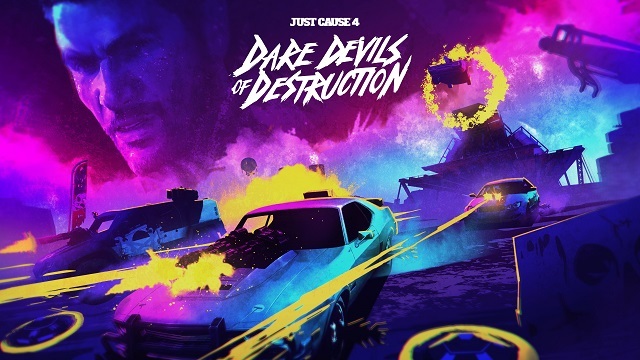 4/16/2019: The Dare Devils of Destruction DLC will be available for Just Cause 4 on April 30th. 12/20/2018: The Stunt Club will award prizes to the best stunts recorded by Just Cause 4 players. 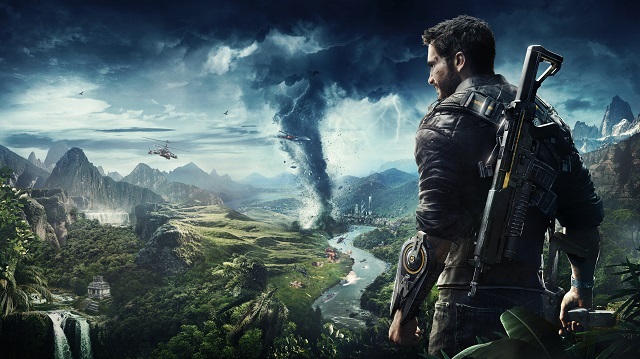 12/4/2018: Just Cause 4 is now available on PC, PS4, and Xbox One. 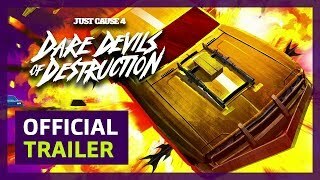 11/29/2018: A series of action movie trailers imagining Just Cause 4 through five decades have been released. 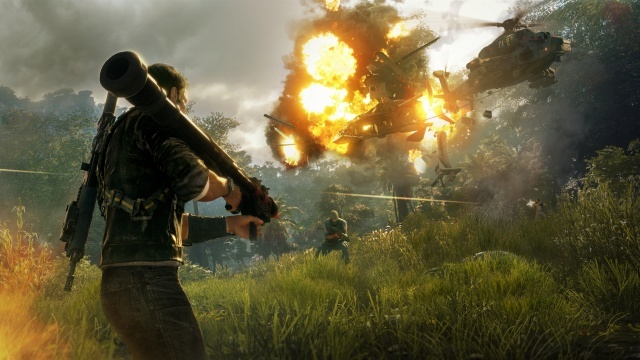 9/26/2018: A Just Cause 4 Developer Showcase and hands-on demos of its games are among Square Enix's plans for New York Comic-Con 2018. 8/6/2018: Square Enix has announced the games that it will be showcasing at Gamescom 2018. 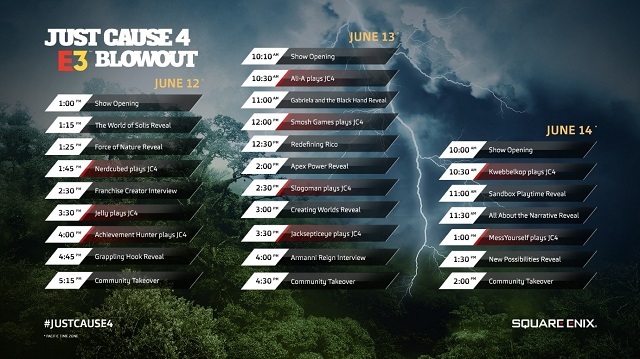 6/11/2018: Square Enix will be hosting a three-day Just Cause 4 livestream from E3 2018 in Los Angeles beginning on Tuesday, June 12th. 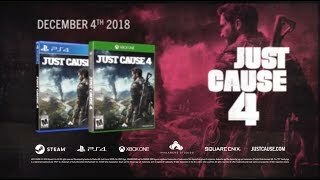 6/11/2018: Just Cause 4 will be available for PC, PS4, and Xbox One on December 4th.